Keith Thurman edged Danny Garcia by split decision in a battle of unbeatens to unify 147-pound world titles. Thurman vs Garcia Round by Round Fight Summary. Rounds are displayed numerically as columns. Each row will display one of the following: W for win, L for loss, KO for knockout, or TKO for technical knock out. An empty column means that data is not available. Keith Thurman built his “One Time” reputation by piling up knockouts on his way to winning a world title. But to beat Danny Garcia and pronounce himself as the true king of the 147-pound division, he had to rely on his full array of skills for 12 rounds. Thurman had just enough in his toolbox to finish the job and earn a split decision over Garcia to unify 147-pound world titles before a crowd of 16,533 in the highest attended boxing match at Barclays Center. In an increasingly tactical fight, Thurman earned winning scores of 116-112 and 115-113 from judges John McKaie and Joe Pasquale, respectively, while Kevin Morgan had it 115-113 for Garcia. The bout was just the 10th title unification in division history, and only the third between a pair of unbeaten fighters. Both 28-year-old champions were uncharacteristically aggressive early on as Thurman looked to establish his power and Garcia used his left hook with effectiveness in a pair of action-packed rounds to open the bout. The fight became more measured as it progressed with Thurman relying on his lateral movement to disrupt Garcia’s timing before attacking. By the end of Round 4, Thurman had caused swelling under the right eye of Garcia, a former unified 140-pound champion who was fighting in his eighth world title bout. Garcia continued to score with his left hook through the middle rounds, although he was warned for a low blow in the seventh. It was in the second half of the fight that Thurman showed the extent of his talents as he doubled up on his jab and landed a couple of solid right uppercuts in Round 9. Following that round, Thurman’s trainer, Dan Birmingham, encouraged his charge to “box smart” down the stretch with the belief that he was ahead on the cards. Thurman pulled back the reins over the final two rounds and was content to use his movement to stay out of range. Garcia forced the Clearwater, Florida, native to engage him over the final minute, but in the end it wasn’t enough to pull out the victory. According to CompuBox statistics, Thurman landed 147 of 570 total punches (26 percent) compared to 130 of 434 (30 percent) for Garcia. Thurman also connected on 102 of 275 power shots (37 percent), while Garcia landed 89 of 222 (40 percent). When Keith Thurman and Danny Garcia clash in a matchup of 147-pound world champions, the unbeaten 28-year-old titleholders will do so with lineal connections to legends Sugar Ray Leonard and Thomas Hearns while competing in just the 10th title unification in division history. 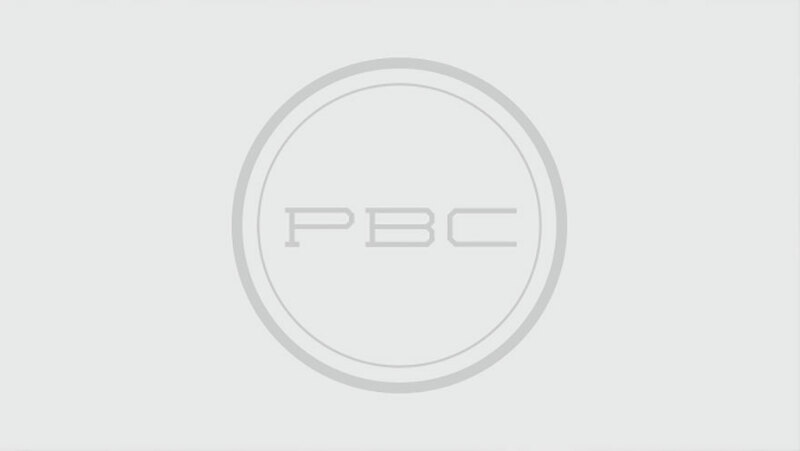 This week in PBC Jabs, host Jordan Hardy recounts an explosive night of fights, highlighted by Deontay Wilder’s TKO of Gerald Washington, and checks in with Keith Thurman before his 147-pound world title unification showdown with Danny Garcia.